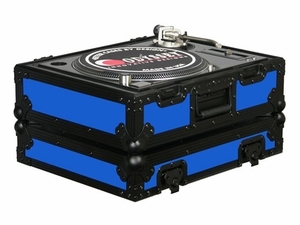 Available in Blue on Black or Red on Black for turntables. 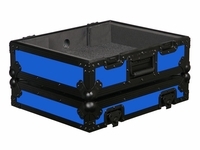 Built tough to the exact standards and product protection as our FR series of PRO cases except all the hardware used in the build of these slick cases are powder coated and anodized in BLACK. Check out our complete line up of Black Label SeriesTM cases as well, black panels with black hardware, very slick.